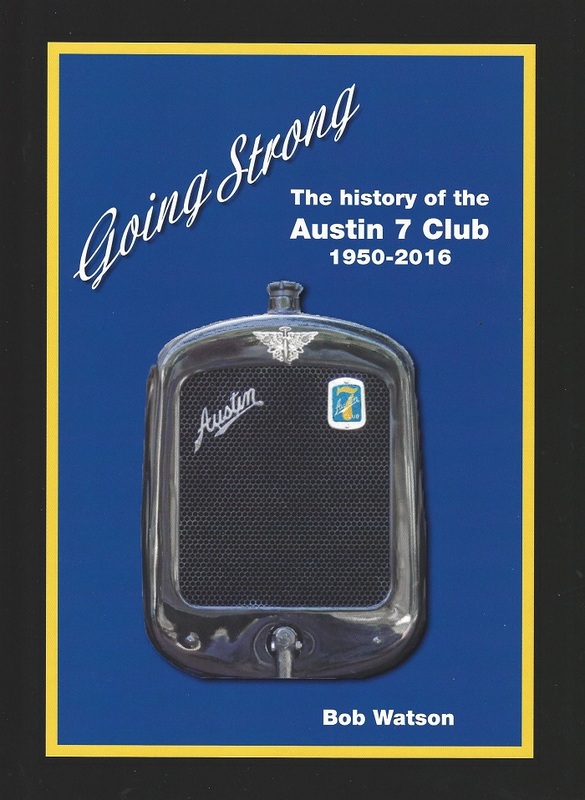 On 19th January 1950, a group interested in the setting up an Austin 7 Club met to discuss details of its formation. These eleven Austin Seven enthusiasts came together and formed an interim committee, immediately embarking on an active and varied motor sport career with a series of club runs, treasure hunts, hill climbs, border runs and observed section trials. Before the middle of 1950 a club badge was designed, and in July the constitution was adopted and a committee elected. In the early days many of the competitors drove their Austin Sevens as everyday transport and quite often 'improved' them to suit their requirements, as the Austin Seven was very adaptable to the 'Special' builder. The various sections of the sport developed and competition rules and trophies evolved, together with formulae devised to regulate the construction of vehicles used in circuit racing and mud trials which later became observed section trials. These formulae were later modified to obviate the necessity of using many Austin components, as their increasing scarcity put them at a premium for those wishing to restore Austin Sevens for the road. The 750 formula withered to a sprinkling of cars, but thankfully the genesis of the historic racing movement in the 1970s regenerated interest. Nowadays we see regular appearances by many original cars, augmented by more recently created examples. The observed section trials cars, whilst no longer of Austin Seven origin, continue to be competed under the aegis of the club, with occasional international competitions being fostered by the group, along with New Zealand and English interest. The club's credentials in motor race officiating and organisation were established from the mid 50's, when we were seconded at short notice to provide trackside communications at the memorable Albert Park races. Thence followed similar appointments at Phillip Island, Sandown Park and Calder. Club member Fred Darling continued his involvement as chief communications official through all the Australian Grands Prix until his retirement after the 1999 event. We moved into race promotion with the introduction to Australia of the 'Six Hour Relay'. Run initially at Fisherman's Bend, the meeting moved to Calder and later to Winton over a period of about ten years through the 60's. After a few years' break, we returned in 1976 with Historic Winton - still going strong 40 years on. In 1968, CAMS called upon us to conduct an open motorkhana at our Mickleham venue, which was the progenitor of the Victorian Motorkhana Championships. A growing need for replacement parts to maintain the Austin Sevens was recognised with the establishment of the Spares Garage, which has grown in range and quality to the stage where an Austin Seven can now be refettled and maintained better than at any time since production ceased, and usually with better than original parts. After meeting in rented premises the club took a big step in the early 1990s and purchased a factory unit in Cheltenham that, with substantial modifications, became the clubrooms that we enjoy today. Opened in early 1995, this provided a purpose-built auditorium, a properly set up spare parts department, committee room and library - something of which club members were justifiably proud. Later we purchased the next door unit 9 and in 2013 commenced joining the two buildings, including setting up a new greatly enlarged spares department which was completed in 2015. The commodious extension to the clubrooms with a large new kitchen will be finished and officially opened in 2017. The club is still as diversified as ever and, while the types of events conducted may have changed over the decades, we now have a border run, other extended runs, day outings and concours for the road cars. There is also a full calendar of racing, sprints and hill-climbs for the racers, a season of twelve trials for the observed section trials cars and the organisation of the prestigious Historic Winton race meeting and historic car display which celebrated 40 years in 2016, together with the long standing Myrniong Historic Car Sprint which goes from strength to strength. In 2015 the Club commissioned well known motor sport author Bob Watson to write a complete history of the Club titled 'Going Strong', which was introduced by Bob at the Club Christmas Luncheon 11th December 2016 with signed copies provided free to all 2016 Club members here and at the Christmas Pudding and Awards night on the 21st December 2016.
available at future club events. were not eligible to receive a free copy will be able to buy ONE copy for $20. Any extra copies will be $25. Metro Melbourne members the postage is less, but contact us.